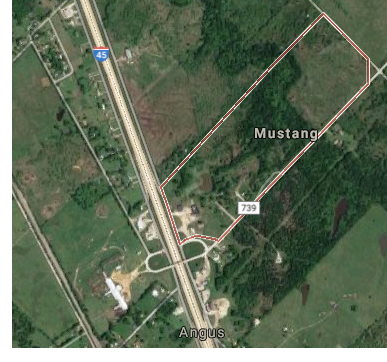 ​ ​MUSTANG, NAVARRO COUNTY – The entire town of Mustang is up for grabs. The tiny town is located on I-45 and 55 miles from Dallas, and is only 76 acres. Incorporated in the 1970s, Mustang was created as "a wet spot," or somewhere you could legally buy liquor when "dry" and "wet" communities were the norm.